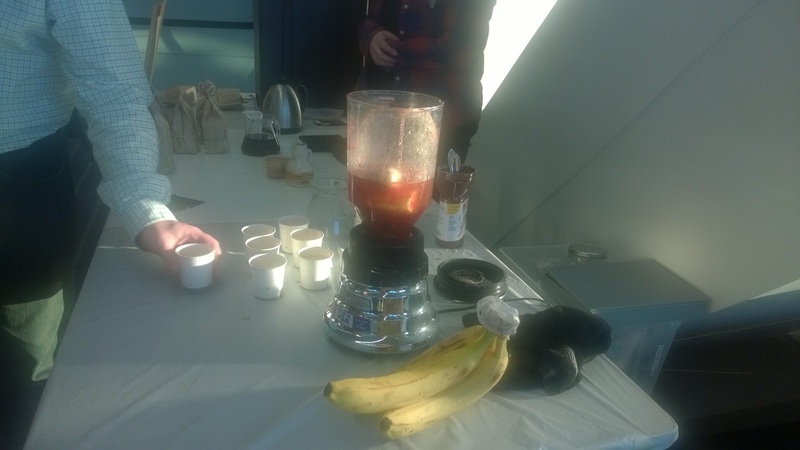 The first time I attended the Farm to Table Conference was in 2010 and I wasn't sure it was my cup of kombucha. That's because, in very poor fashion, I wasn't in attendance for the Food Tasting Night! I believe the tasting event is more accessible to the general public and also an amazing bargain at $30 a ticket. 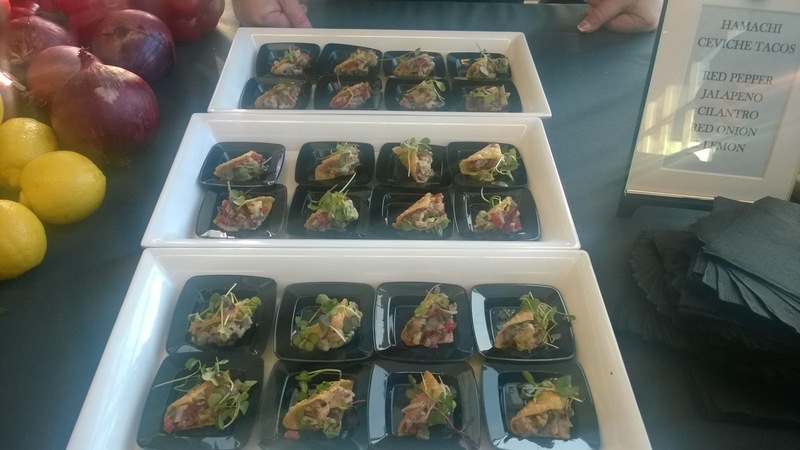 Here are all of my favorite dishes from the event. Pictured above are the deviled eggs from Footprints Farm. They also offered an amazing apricot curry chicken - this was one of the only places I demanded second and third servings. 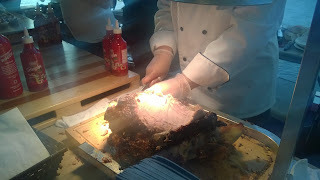 Market District offered this remarkable pork shoulder along with a sriracha bbq sauce. There was a bit too much cornbread accompanying the dish, but that wasn't a real problem. Also of note was their caramel brownie sundae! If you are looking for an extremely interesting read, I recommend this piece of history equating the development of the sundae with state blue laws. Monterey Bay was absolutely a crowd favorite. 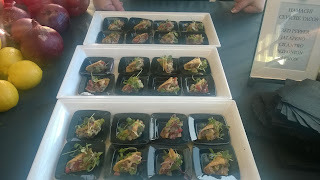 They offered a tuna ceviche taco that was orgasmic. I do not believe that the taco is offered on their regular menu yet, but keep an eye out in the future. 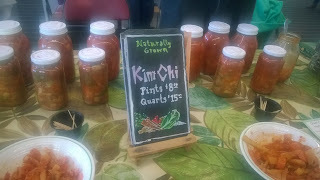 Quiet Creek Herb Farm was offering both a vegan kimchi and a traditional kimchi in addition to some other small samplings. I learned a lot about kimchi on this fine day. The fish sauce is everything! The difference between the two varieties was spectacular, I would never opt for vegan kimchi over traditional, even if I was a vegan.The layers of complexity added to the traditional kimchi by the fish sauce were truly astounding. The Franklin Inn was one of my favorite Mexican restaurants growing up. Their Colorado green chili is unlike anything you will find on most Mexican restaurant menus in the Pittsburgh area. 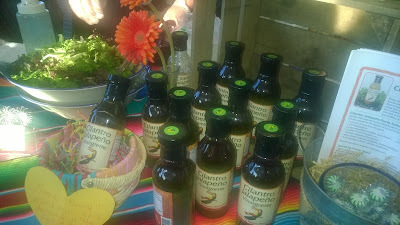 However, the real show stopper is the cilantro jalapeno vinaigrette. The dressing is perfectly balanced and wonderfully flavorful. 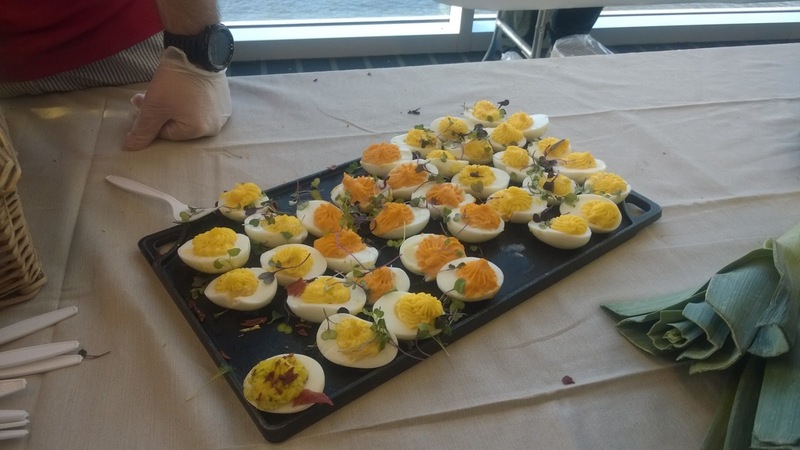 This was basically the one item you had to take home at the Farm to Table Conference! 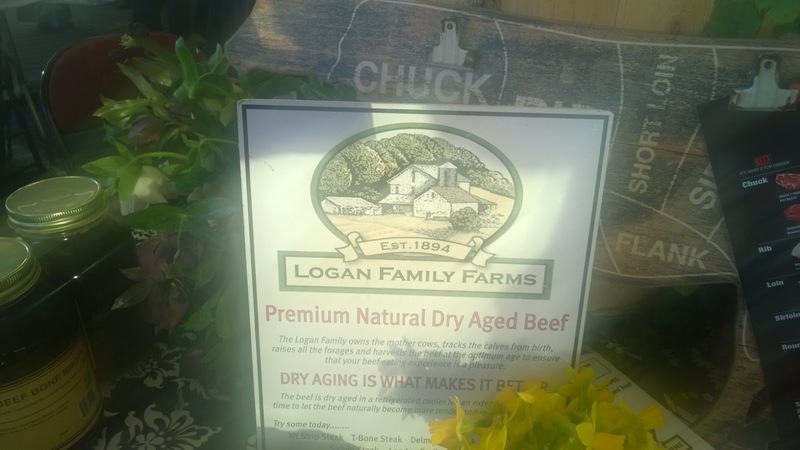 Logan family farms offered one of the more interesting dishes of the evening. A naturally dry aged beef meatball. I am certainly not accustomed to meatballs being made with dry aged beef, but I could get used to such a special treat. 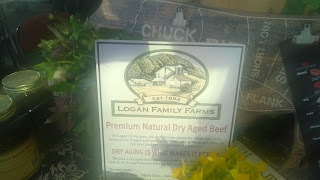 The Logan family themselves were also a real treat with their welcoming boisterous personalities. Emerald Valley Artisans had my absolute favorite offering of the evening. A giant table filled with cheese! 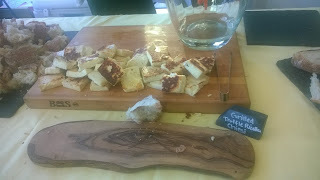 Of particular note was the grilled brick ricotta with truffle oil. Warm grilled ricotta with crusty bread featuring the earthy truffle oil - this offering forced me to eat until I was nearly incapacitated. I do not believe I could make a stronger recommendation. Overall the conference is a must visit for anyone interested in the sustainable food movement, or food in general! It is probably one of Pittsburgh's single best food events.